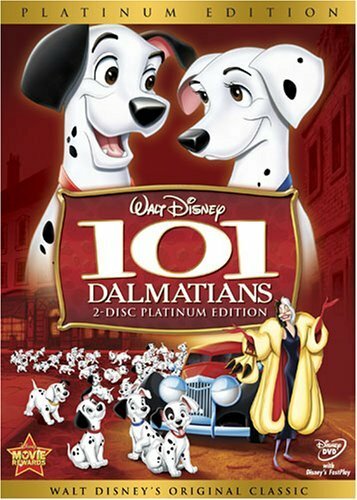 101 Dalmations and Peter Pan are the ONLY Disney movies where both parents are present throughout the movie and don't die. This is Mildrid - the cat in residence at Casa de Refugio. Something has been eating my garden. I wish I had taken a picture of the garden on Sunday. The zucchini plant was big, strong and healthy, as were the tomato plants. Monday morning this is what they looked like. It took me a while to notice that they had been chomped on from the top down :( I have never seen deer on the garden side of the property - but I guess the can get over there - I guess they can get anywhere the food calls to them. Deep sigh, heavy sadness! Have a grand Tuesday my friends! haha! That is funny about the harshness of Disney movies. I always think of Bambi...Your mother won't be with you anymore... OMG. Excellent trivia...I am sorry to hear about your garden though. Seems it has been a tough year for the gardeners. laura - moms and dads die in disney movies - do not accept a role as a disney parent - you won't be around for long! fish scales in lipstick, that explains everything. Wendy's parents were around - but wasn't Peter Pan an orphan? Along with the Lost Boys, presumably. Disney had a thing about killing off parents. Secret - Yeah - Peter Pan was parent-less - and the story of Peter Pan starts with the parents going for a night out and leaving the dog in charge. The dog! They were terrible parents! They do not count! That leaves a pair of Dalmations as the only intact parent set in Disney history. I am so sorry about your garden! Deer ate my dad's peach trees... he was livid. Did a little troll dance. So that's how the cat does that. ananda - thanks for your sorrys and i posted at 12:30 and it still came out yesterday - what is that about? Disney parents are about as rare as wives on Bonanza. My father used to warn me to never marry a Cartwright. Sorry about your garden. Ours are preyed upon slowly by bugs. A slow painful death. we have bugs, too - so really i shouldn't plant anything because anything that grows here will suffer pain and violence. big sigh. Damn! I see you are dealing with some sort of terrorist animal as I am with my garden. Most likely culprits in my area are rogue terrorist rabbits... but now I am beginning to have suspicions on the cactus wrens, seen them hanging around my pepper plants, makes me nervous. Sebastien - Welcome to my blog! Why would any animal want to eat peppers? You'd think htye would know to stay away. But perhaps they paid for it later - you can only hope. I am pretty sure the animals eating my plants are deer because they have been eaten from the top down and little animals would eat from the bottom up. I planted garlic and marigolds around my little plot, but apparently that does not frighten the deer. Heavy sigh. Again welcome to Raising Sunny!